It was built before its time and was a victim of the economy. It has everything you would probably like in a new construction condo, but there is only one problem. You can’t purchase it. Right now, the condos that sit squarely above the Loews Hotel are available only for lease. The project is called 10 Sixty Five Midtown. It’s part of the massive 12th & Midtown complex planned to revitalize Midtown with lots of new places to eat, sleep, dine, work and shop. 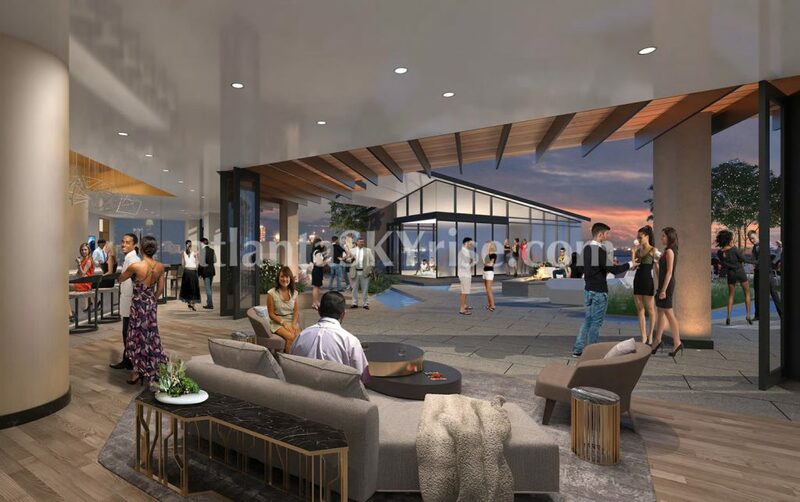 With only 52 condos, this is definitely a boutique style condominium building. The developer has put in some beautiful finishes, so for those people who don’t want to do a lot to the condo except move in, this will be a smart choice once they start selling again. And they will sell these units at some point in the future. But for right now, this isn’t adding to our unsold condo inventory. The developer flew to Italy to choose granite and marble, which are used in the bathrooms and kitchens. They made some very smart choices. The fixtures use throughout the units are all Kohler products and Thermador appliances are used in the kitchens – which are really great to cook with. The floor plans are smart and have large floor-to-ceiling windows to take advantage of the terrific views. Personally, I would not want to be directly facing any other building, but the windows do let in a tremendous amount of light and make each room (including the windowed closets) feel much larger. Ceiling heights are 11 foot in all units and each home is pre-wired for a home automation system. Below: Finding your way around. I’ve color coded the plan to make it easier to see where the rooms are. If there isn’t a solid line in the plan, it indicates a window. In this particular plan, the master bathroom is surrounded by windows and the window wall continues to run the length of the condominium. Below: In the living room looking toward the foyer. The kitchen is tucked away to the left side. Below: The kitchen features a center island with seating for three, double stainless sink, Thermador gas cooktop with vented hood, built-in microwave and oven and plenty of cabinetry to store your cookware. Granite countertops and backsplash, Kitchen Craft cabinetry with self-closing drawers are also standard. Below: The master bath tub looks directly out to 1010 Midtown. Below: Another shot looking through the glass shower enclosure to the free-standing tub. It’s a lovely view of the city. There are privacy shades so don’t worry! Below: One of my major complaints in most buildings (with a few exceptions) -the terrace. I’m not sure why developers always put in long terraces with no width to them. Buyers want to put furniture outside to sit and enjoy the view or beautiful weather. I’m not talking about a couple of chairs side by side, but more of a seating area where you can entertain. I do love the glass paneled railings. Below: This is a vacant three-bedroom unit. It’s roughly 2,800 square feet and has plenty of room inside. The kitchen is tucked away to the right, but is quite large by condo standards. This unit has gorgeous distressed hardwood flooring throughout the main spaces and a beautiful view of the city. Below: Automatic shades shield the sun and heat, but still provide a view when closed. Below: This is the same unit, but furnished. Below: The kitchen features a counter with ample seating, double stainless sink, Thermador gas cooktop with vented hood, built-in microwave and oven and plenty of cabinetry to store your cookware. There is also a built-in refrigerator to the right which I’ll show you in the next couple photos. Below: Most of the bathrooms in the building are like this one. They have a wall of windows with a free-standing tub to take in the views. 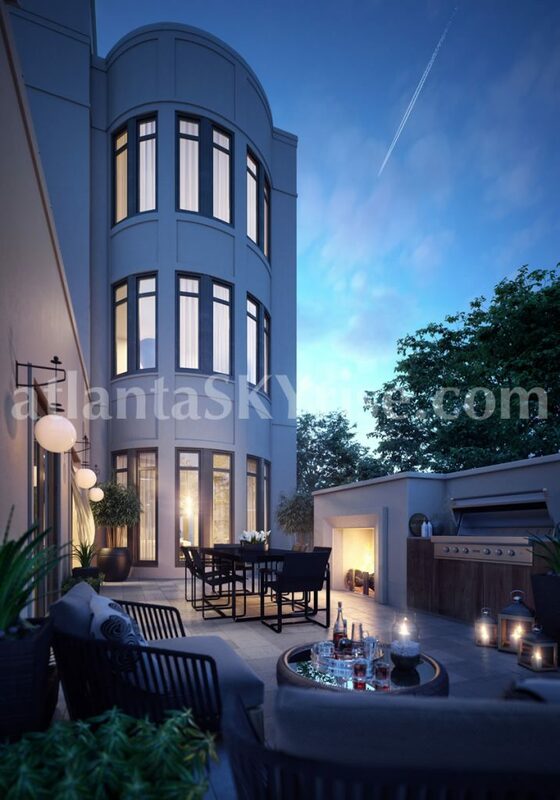 This unit looks out to Piedmont Park. Below: The units do not come with any closet cabinetry. When you lease a unit, the developer will provide an allowance. This is an example of the finish quality. What do you think? By Midtown standards, 10 Sixty Five Midtown has a lot to offer. I think we can expect to see these units on the market in a new couple years. At the time of my visit, the units were already over 50% leased- keeping in mind they only have 52 units total. Next articleHappy Fourth of July from atlantaSKYrise! Love, love, love the stand alone tub! Kevin, how does this unit compare to one at Luxe? Units here are more upscale than at Luxe, but Luxe is almost a sellout! Love the high end finishes. Which properties have adequate terrace space? Almost all of the ones I’ve seen have the same long space. So disappointing. All units have the same long terrace spaces. Some longer than others, but all are the same widths including the penthouse level. Kevin, don’t you think that the prices of these units are a little high for the way the Atlanta market is right now? You mean in terms of the rental amounts? They are actually pretty competitive for the product and people are leasing them at these prices.